One of my favorite places in the whole world is Point Lobos. It's dramatic and rugged yet serene and peaceful, and I think it's this contrast that appeals to me so much. 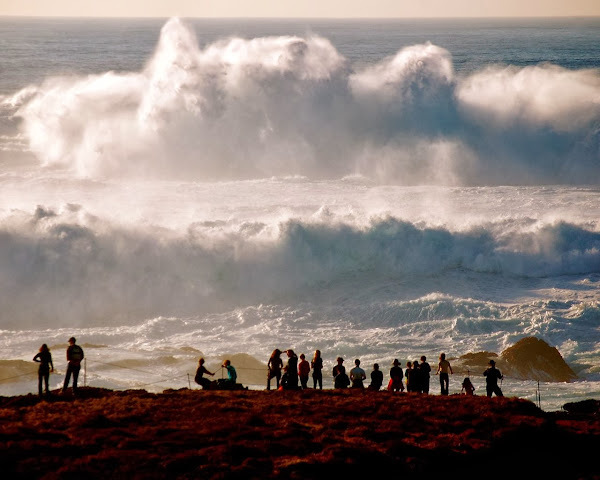 On the photo below, the waves, like wild, unstoppable horses, head for the rocky shore of Point Lobos, where awestruck visitors admire the spectacle.